Remember December 31st, 1999? The lines of people at supermarkets, stockpiling tins of baked beans and bottled water, convinced the millennium bug would strike at midnight? Turns out the PS3 Error 8001050F was a millennium bug 10-years in the making. "We are aware that the internal clock functionality in the PS3 units other than the slim model, recognized the year 2010 as a leap year. 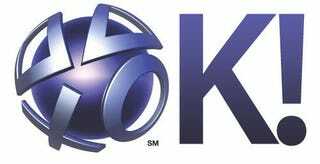 Having the internal clock date change from February 29 to March 1 (both GMT), we have verified that the symptoms are now resolved and that users are able to use their PS3 normally."